We’ve tried many turkeys for Christmas this year, but Plaza Brasserie’s rendition is hands down the best that we’ve had in Singapore. Ever since we sampled Executive Chef Jackson’s and Executive Sous Chef Ken’s tantalising roasts during For The Love of Roasts Buffet - PARKROYAL on Beach Road’s inaugural presentation of a buffet that is centered around tantalising roasts and exotic meats – we have no doubt that the duo can cook their meat really well. So we were really excited to try their Christmas Buffet because of the various meats that are part of the Christmas lineup. The highlight is without a doubt the aforementioned traditional roast turkey, but equally good is the Hungarian Mangalica Pork – making its debut at Plaza Brasserie this year. Also, you can get two Boston Lobsters (weighing 500g each) at just S$38++ during the festive promotion every day from 12 to 31 Dec 2014. We share with you the various meats that you cannot miss the world for, and yes, they are available for takeaways too. Oh, have you seen strawberry snowmen too? Too cute to be true, but we are all prey to such Instagram-worthy desserts, isn’t it? Here are the reasons to celebrate Christmas at Plaza Brasserie, PARKROYAL on Beach Road! Have a very merry Christmas! No matter how much we love novelty, no matter how we always crave for something fresh and new, we are all of us creatures of familiarity, and some things/ places/ people just warm our hearts whenever we revisit them. 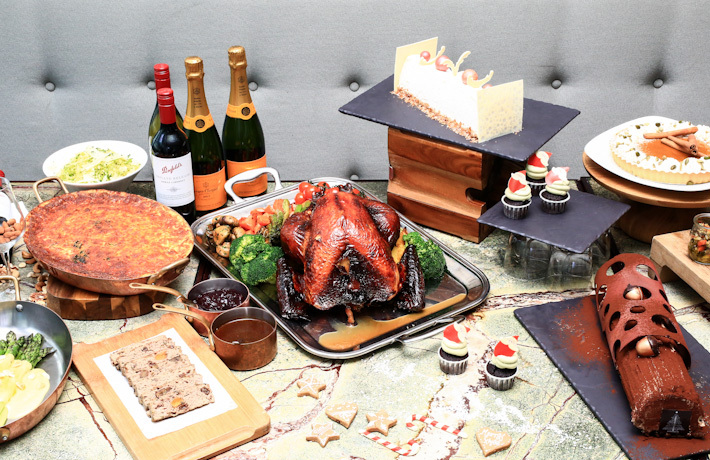 Seasonal Tastes at The Westin Singapore is one of them. Every return feels like going home, and we really do not mind dining there regularly because the chefs promise different experiences. The buffet line is ever-changing, with new items to excite your taste buds, and if there is something in particular that you are looking for, just let them know and they will try their best to satisfy that craving. So, December is a special month. How can we miss out on Christmas treats at Seasonal Tastes? We heard the team had worked so hard to come up with menus that reflect the true traditions of Christmas, and we were really stoked to taste. And boy, did they not disappoint! Indeed one of our best-loved places for buffets. 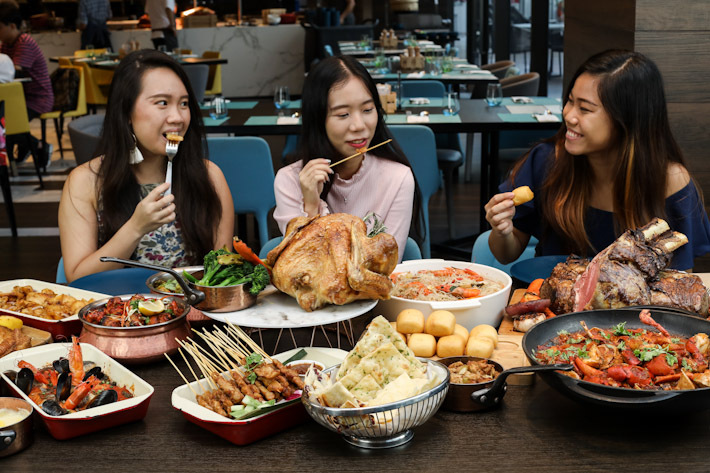 Here are the various line-ups from the Christmas buffets at Seasonal Tastes, The Westin Singapore [ thewestinsingapore.com/christmasatthebay ] to expect. We are pretty sure your date will be impressed. Are we already in December? Time slips by when we are having fun, but we should really take a little breather, slow down and savour the remaining moments of 2014. Bonuses are coming in, Christmas is round the corner, and soon before we know it, we’d be counting down to a new year. What are your plans for the yuletide festivities? 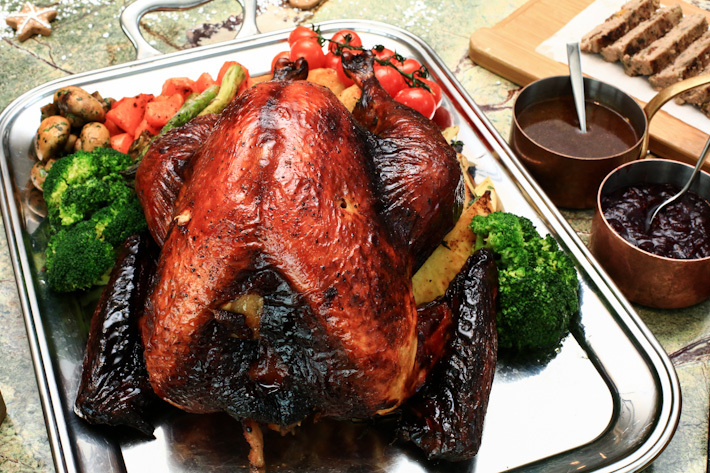 Have you started feasting already? If you haven’t had an idea, we have (more) suggestions on how to pamper your taste buds. Well, we always do, and this time, it is at one of our favourite hotels no less. Be enraptured in all the warmth of festivities at PARKROYAL on Pickering, and spend the lasts of 2014 with traditional goodies in the lush iconic urban resort. Sitting adjacent to the historic Hong Lim Park, PARKROYAL on Pickering is fast becoming the icon of Chinatown. Its award-winning architecture is a sheer sight to behold, with greenery in abundance, and charming cascading plants that caress the building so mysteriously yet beautifully. And what lies beneath is a supremely gorgeous restaurant-in-a-garden that we fall in love with over and over again. There’s always something very inviting about Lime Restaurant at PARKROYAL on Pickering, it makes us feel all warm and cozy like we’re coming home for Christmas. We always love a good meal there, and even more so when the culinary team helmed by Executive Chef Vijayakant is all geared up to pamper us with their bests for the year-end celebrations. 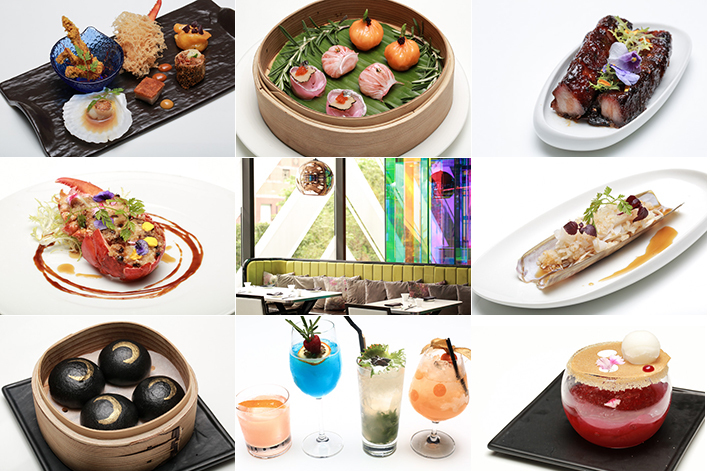 And here are some of our picks from PARKROYAL on Pickering’s festive menu 2014 – some for a scrumptious dinner at Lime, and some to take home to host our guests with the best party food.